Enterprises now deploy more applications than ever before across multiple on-premises and cloud environments. New load balancers, based on software-defined principles, can deliver a consistent experience across multi-cloud environments. IT teams can now experience enterprise-grade load balancing features with the automation, flexibility, and scale that only software can deliver. 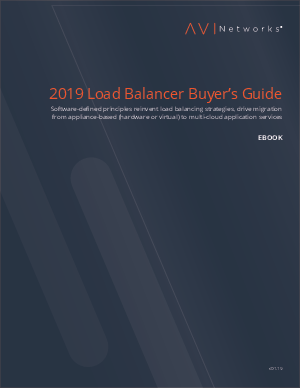 Fill out the form below to download the 2019 Load Balancer Buyer's Guide.